Regarded as one of the leading architects of the city of Spokane, Loren Leighton Rand came to the city in 1888. He arrived just before the Great Fire of 1889 which leveled thirty blocks of the downtown. As one of the few trained architects in the community, Rand was poised to receive commissions and they came flooding in. He had opened an office with fellow architect John K. Dow in the Crescent Block and together they designed the Tidball Block (1889), the first four-story building constructed after the downtown fire. Other post fire buildings included the Bump Block/Carlyle Hotel (1890), the Bennett Block (1890), and the Bank of Spokane Falls (The “Marble Bank Building”, 1892). While Rand and Dow departed ways by 1892, they collaborated later on the first wing of the downtown Masonic Hall building (1905). Rand was born in Amesbury, Massachusetts in December 1851. After course work in the Boston School of Technology (forerunner of MIT) he worked as a draftsman with several leading architects in Grand Rapids, Michigan and Minneapolis, Minnesota. While in Spokane, Rand also designed several residences, many for well-to-do citizens including former Territorial Judge Lucius B. Nash (1889, 1624 E. South Riverton demolished); businessman and civic leader Edward L. Powell (1899, 1728 W. First Ave); one time Spokane Mayor Horatio F. Belt (c.1893, North Riverton, demolished); Sylvester Heath, founder of the stationery company that later became John W Graham & Company (1899, 1017 E Mission); and James Comstock founders of the Crescent Department Store (1906, 1128 W Ninth). He also designed his own home at N. 1215 Nettleton (1909) and homes for George Odell (1898, 2325 W. First); C.F. Clough (1406 W. Ninth); William Domke (1891, 1928 W. Pacific); and the Eugene Shadle family (1906, 1118 W. Ninth). Commercial projects include the Crescent Department Store (1899); a remodel on the Boothe-McClintock Building (1906); and Spokane Dry Goods Building (also known as the Crescent Service Building, 1908). Other notable projects included a Fraternal Hall in Coeur d’Alene (1905); an apartment for Mrs. Michael Jennings (1910); and the Romanesque Revival stone First Presbyterian Church (1910) in downtown Spokane. detailing for a like-sized building. During the time he was working on Lewis & Clark he was also designing Kennewick High School (1911) in Kennewick. Active in the Presbyterian Church, and a variety of civic and professional affairs, Rand served as president of the local chapter of the Sons of the American Revolution, he was a member of the Oriental Lodge A.F. & A.M., was a Knight Commander of the Court of Honor, was a member of the Mystic Shrine, and served as Vice President of the State AIA Chapter (1915, 1920). Rand died on October 6, 1935 at the age of 83 and is buried at the Greenwood Memorial Terrace Cemetery in Spokane. 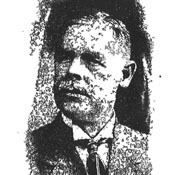 There is reference that his son (Morris W.) was also an architect, but no projects in Spokane attributed to him have been identified. “L. L. Rand, 83, Architect, Dies”- Spokesman-Review October 7, 1935 pg 1. “Loren L. Rand: Designer of Early Spokane Schools”- Spokesman-Review November 15, 1998. “L.L. Rand” – Spokane Daily Chronicle, Jan 27, 1896. Pg 6. “L.L. Rand” – The Spokane Woman, May 6, 1926. Pg 9 & 16. “Mrs. Jennings to Own Big Apartment” – Spokane Daily Chronicle, June 11, 1910. “L.L. Rand, architect…” – Spokane Press, May 2, 1906. Pg 2. “Old Ruins Will Not Be Used” – Spokane Press, October 12, 1910. “Coeur d’Alene Terminal Plans” – Spokane Press, April 24, 1903. “Will Rebuild On Old Lines” – Spokane Press, June 23, 1910. “Rush the High School Plans” – Spokane Press, October 10, 1910. “Will Improve the Building” – Spokane Press, May 16, 1906. “Scandal Looms in New High School” – Oregonian, May 5, 1911. “To Show School Plans” – Kennewick Courier, March 24, 1911. “Call For Bids” – Kennewick Courier, March 12, 1911. “New High School, Finished, is Credit to City and to Builders” – Kennewick Courier, November 24, 1911. “Last Tribute to Loren Rand” – Spokane Daily Chronicle, October 9, 1935. “Town May Loose Auditorium” – The Coeur d’Alene Press, August 22, 1906. “Best in the West: Spokane Public Schools Will Yield Precedence to None” – Spokane Daily Chronicle, Jan 27, 1896. Pg 6.